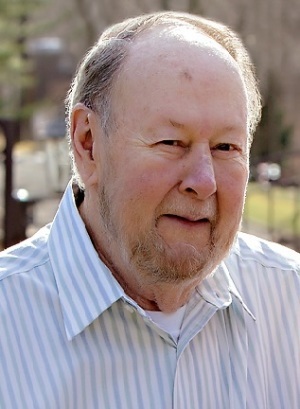 James F. Green, 75, passed away at Center for Hope Hospice in New Jersey on Oct. 20, 2018, after a short illness. James was born in Brooklyn and moved to Staten Island 46 years ago. He went to Brooklyn Tech High School and received his bachelor's degree from St. Francis College. He was an information tec hnician vice president. James was a member of the Knights of Columbus and Our Lady Star of the Sea Church. He enjoyed photography. He was in the Army National Guard during Vietnam. James is survived by his wife of 50 years, Margaret; daughters, Jennifer Farrell ( Mark), Carolyn Ryan ( James); brother, Chester Green (Betty); grandchildren, Katie, Mikaila, Shannon, Delaney, Maddie and Jack, and many nieces and nephews. He was predeceased by his brother, John Green. Funeral is from Bedell-Pizzo Funeral Home on Thursday at 10:30 a.m. Mass of Christian Burial is at Our Lady Star of the Sea R.C. Church at 11:15 a.m. Cremation will be private. Friends may visit Wednesday from 2 to 4 and 7 to 9 p.m. In lieu of flowers, contributions to St. Jude Children's Research Hospital in James's name will be appreciated.